In primary care, I’m constantly asked about what “diet” is the best. Patients want to know how they can lose weight, get fit, and feel better. Numerous diets are available online, in books, and through word of mouth. Many patients ask about the ketogenic diet, the “whole 30” diet, Atkins diet, and many more. My usual response is consistent, I tell patients that I do not believe in the word diet. Personally, I am of the opinion that many diets are unsustainable. Diets that are extremely restrictive to one macronutrient, or plan to cut out a macronutrient all together, are hard to follow. I would even argue that they set patients up for failure. Many times, it can be a refreshing change to start a new “diet”, but patients may find it difficult to sustain long term progress. The good news is that many insurance companies and employers are offering rewards for patients taking an investment and commitment in their health. This can be accomplished by diet, exercise. Today’s article will review one of the lifestyles with some of the most evidence behind it for overall wellness and disease prevention, the Mediterranean lifestyle. The Mediterranean lifestyle has recently come into focus in health clinics and in the news due to its’ health benefits. More and more patients are being educated on some of the benefits which can include prevention of diabetes, maintenance of a healthy weight, and even possibly prevention of some cancers and heart disease. The lifestyle itself is categorized by consuming a diet that is higher in plant based products as opposed to meats. Foods encompassed in this include fruits, vegetables, whole grains, and copious amounts of nuts. The emphasis is far less on processed and red meats. Healthy fats that are monounsaturated are healthier and can be found in olive oil. Butter, lard, and margarine are avoided. Patients are discouraged from consumption of saturated and trans fats which are atherogenic. In addition, herbs and spices are encouraged over salt. Participants adopting the lifestyle are also encouraged to not only avoid red meats, but replace this with leaner proteins such as poultry and heart healthy fish such as salmon. The fish oil and omega 3 fatty acids found in fish are more heart healthy. In addition, wine is also allowed in moderation, as it may be found to have some cardiac benefits. Of course, this should be enjoyed in moderation! In my opinion, this lifestyle is one of the easiest to follow because it is not restrictive and still allows the patient to enjoy a multitude of different foods that are still hearty, rich, and delicious. Sweets, refined products, and dairy are discouraged, but allowed in moderation. When asked, this is what I recommend. As discussed above, there are many studies that have demonstrated significant benefit from the Mediterranean lifestyle. Studies indicate a decrease in all cause mortality from cardiovascular disease, reductions in risk for prostate, digestive cancers, and even possibly the prevention of diabetes. In one landmark study, patients were placed into a group of those abiding by the Mediterranean diet versus control. The results were startling and promising for this lifestyle, as the study was actually stopped early. There was a significantly lower risk of mortality including myocardial infarction rates and stroke in the Mediterranean lifestyle group (Estruch et al 2013). Numerous other studies point toward the health benefits of the Mediterranean lifestyle.In a 2014 study by Italian researches, a diet that was rich in olive oil, legumes, and other constituents of the lifestyle was found with a lower overall association with oropharyngeal cancers (Filomeno et al 2014). Another 2014 study regarding breast cancer provided even more evidence. Not only did this study confirm the suspicion that the Western diet is associated with increased risk of cancer, it was also found that a diet in olive oil, legumes, and fruits had a significant reduction in breast cancer risk, across many breast cancer subtypes as well. (Castello et al 2014). Lastly, a landmark meta-analysis of over 500,000 patients showed significant promise for prevention and for the future. This encompassed many studies and illustrated that strict adherence to the lifestyle showed a decrease risk of developing metabolic syndrome. It also was found to be protective for patients who were diagnosed with metabolic syndrome already. Patients were found to have decreased levels of LDL, better glucose control, better blood pressures, and stable or even decreased weight circumferences. (Kastorini et al 2011). In summary, diets are very commonly touted for their quick fixes in terms of weight loss and health status. Many diets are very restrictive and difficult to sustain. 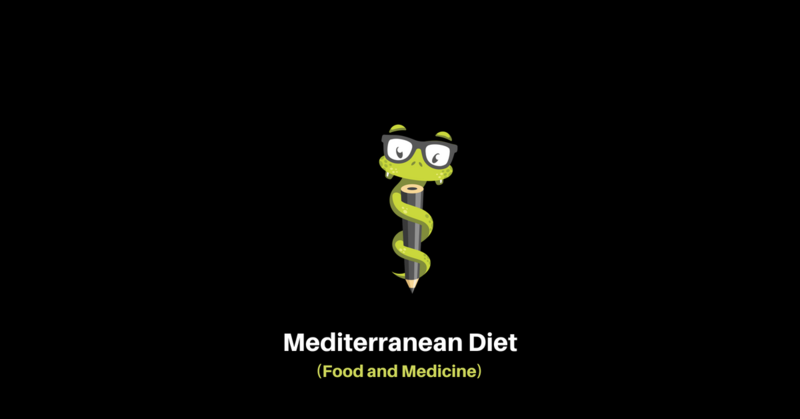 The Mediterranean lifestyle has been touted to improve health status, prevent disease and is easy to recommend and follow. Colditz, G.A. (2018). Healthy Diet in Adults. UpToDate. Date of Access 23 May 2018. Estruch et al (2013). Primary Prevention of Cardiovascular Disease with a Meditteranean Diet. PubMed. Date of Access 24 May 2018. Kastorini et al (2011). The Effect of Meditteranean Diet on Metabolic Syndrome and Its’ Components. Journal of The American College of Cardiology, 51 (11), 1299-1313.